When the stream of media forming our consciousness is indistinguishable from the stream of consciousness forming our most enlightened media we will have arrived at a distinctly new place in human evolution. The popular concept of the internet is that it is a place for people to connect with the world – to search for information, keep in touch with other people, and buy things. Miraculous, instantaneous, world-wide human interaction. Facilitated by devices small enough to put in your pocket. Currently more than 2 billion, or approximately 30 percent of people on earth use the internet. More and more access it via mobile devices… like laptops, tablets or phones. There are few places on earth it does not exist. More Africans have access to mobile phones than to fresh water. Just one App – Facebook – is used each day by about half of its 800 million members – worldwide – 75 percent of whom are outside of the United States. But what astounds me is that in addition to that web of personal interaction – facilitated by the wireless networks that surround us all, everywhere… there is another, even bigger… Internet of Things. 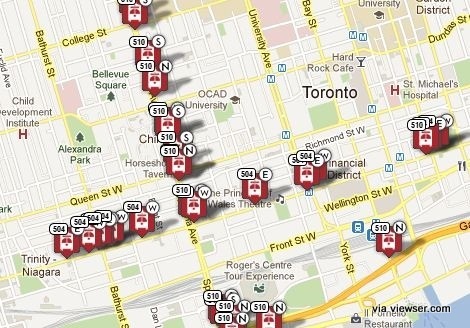 Here is an example of a map, for instance, that shows in real time, where the Toronto’s streetcars are located. It is updated automatically every 10 seconds. Here is what IBM said about this last year. For those who prefer to read about it – here is a comic book primer on the subject. Turns out that since 2008 – more things have been connected to the internet than there are people on earth. As of yesterday there were 7 billion people. That means that there are more than 7 billion things (machines) talking to each other – many of them performing functions without any input from humans. And while the internet of people communicating with each other is exploding, the Internet of Things is growing even faster. Well, maybe devices that report on weather. Or sensors on aircraft that ping locations to computers used by air traffic controllers. Or your car reporting to your insurance agent or the rental agency where you are or how fast you are driving. Or your implanted pacemaker reporting to your electronic medical record how healthy you are. Or your electric meter reporting to your utility. Or wires buried under the road changing the traffic light color ahead of you. Or your sneakers reporting to your MP3 player reporting to your wellness log and health system. Or your work id badge reporting to your employer. Or animal migrations being followed, public transit systems reporting on schedule deviations, books and periodicals circulating (electronic or otherwise), traffic flow, supply chain links. All of these billions of sensors creating mountains of data. Feeding back to other sensors – around the world. Constantly. In a real-time loop. Enabling intelligent agents, defined by users, to mine the data constantly and report back or initiate actions based on the data. A worldwide intelligence – a neural network – defined by humans but run by machines – known as the Internet of Things – triggering automatic responses in an attempt to maintain some predetermined, optimized homeostasis. I used to work with a guy at KCAL TV in Los Angeles – and together we developed a franchise – a new set of stories on our newscast called –environmental commentaries. One of the recurring themes in Dennis Farrier’s environmental commentaries was something he called Nature’s Design Factory. He liked to talk about how humans were forever discovering things by observing what nature had been doing for millions of years. Then humans cleverly created products out of what we observed. These might be practical, industrial things – like Velcro and super glue and aspirin – or beautiful things, like artistic patterns or colors. 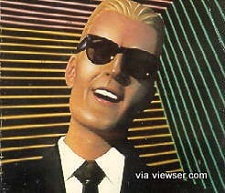 Once I started hearing about an Internet of Things, I got to thinking about Dennis. Dennis might say by networking an Internet of Things we are simply trying replicating the good work of Mother Nature, who has already tied her creatures together in ways we and they really don’t fully understand. Aren’t we, in some tiny way, trying to mimic the interconnectedness of nature? Nature somehow has figured out a way to allow the 50 to 75 trillion cells in my body to communicate with one another. That way I continue to breathe while I concentrate on writing this essay. My blood will pump without me asking it to. My fingers will move on the keys while my brain cells fire. My eyes focus, my food digests and my ears hear. And every cell that needs to know about these things, knows. And similar functioning happens among all 7 billion of us on this earth. And similarly in every other organism on earth. And somehow the organisms communicate with one another too. Have you ever seen schools of fish turn on a dime? Hundreds or thousands of fish decide to veer in one direction or another, or a herd of caribou decide to turn… and all of them do… in unison, without bumping into one another. How insects or birds swarm and fly in one direction or another. How do animals know it is time to migrate, or leaves to change color? In case you haven’t seen this most amazing phenomenoon, you might want to watch this video – capturing one of nature’s most amazing dances. After you watch, why don’t you let me know how they do it… so beautifully, without rehearsing. The animals, all of the organisms, the living things (and some would say the non-living as well) are tied into a huge information exchange network. Biologists have many theories on how some of these networks function. But these are still largely a mystery. That we are overlaying an electrical-mechanical Internet of Things, on top of the Internet of People, on top of nature’s biological network, is an incredibly ambitious undertaking, that is paying off in projected and unforeseen ways. Is it the ultimate in hubris to think that someday we will monitor things well enough to actually hear the planet talking to us? Or do humans have the capacity to do that now, without the Internet of Things?